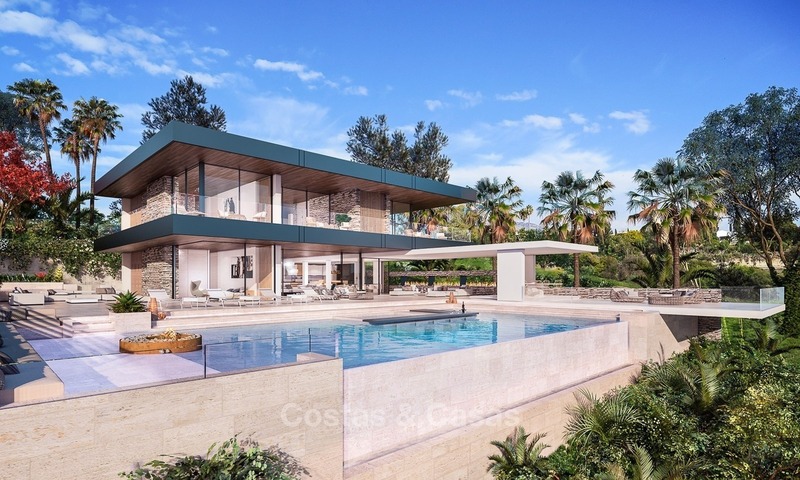 The project, currently under construction, is located on the New Golden Mile, close to the renowned Flamingos golf resort and only at a short walk to all amenities, restaurants and at a short drive to the beach. 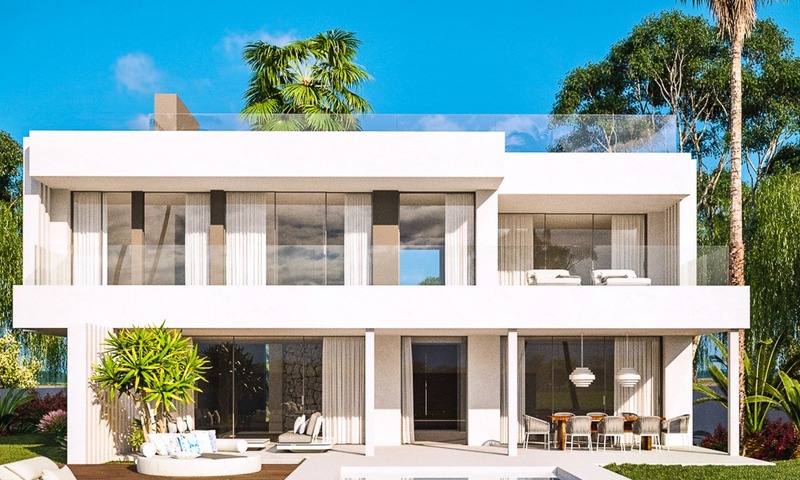 Marbella and Puerto Banus are about 12 minutes away by car, San Pedro takes just a 7-minute drive. 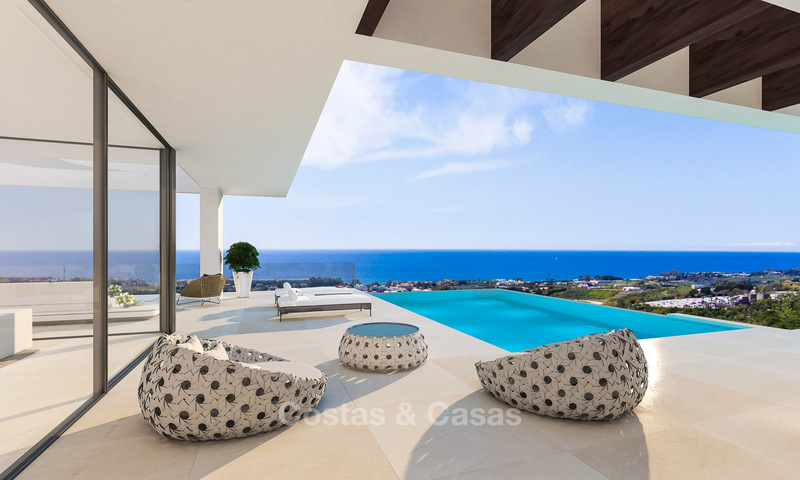 This is a fine boutique project comprising just 7 villas, all offering marvellous sea views apart from one villa which has sea views from the first floor only. The homes are designed to be south-facing. 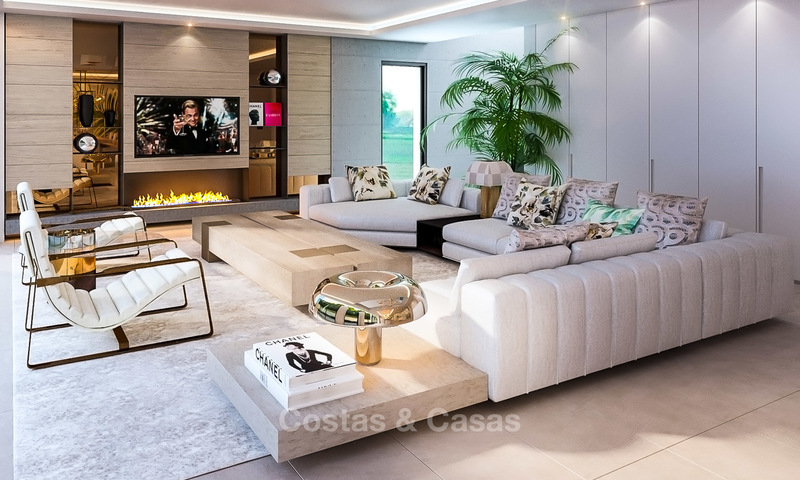 Open plan design, abundant integration of natural light via floor-to-ceiling windows generates wide and bright living spaces. 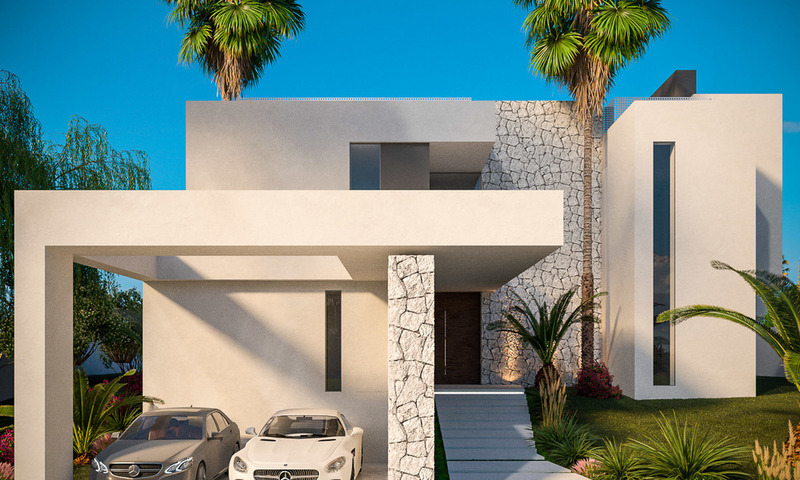 Only top-quality materials and the latest concepts of modern design will be used to create these stylish and functional luxury villas. 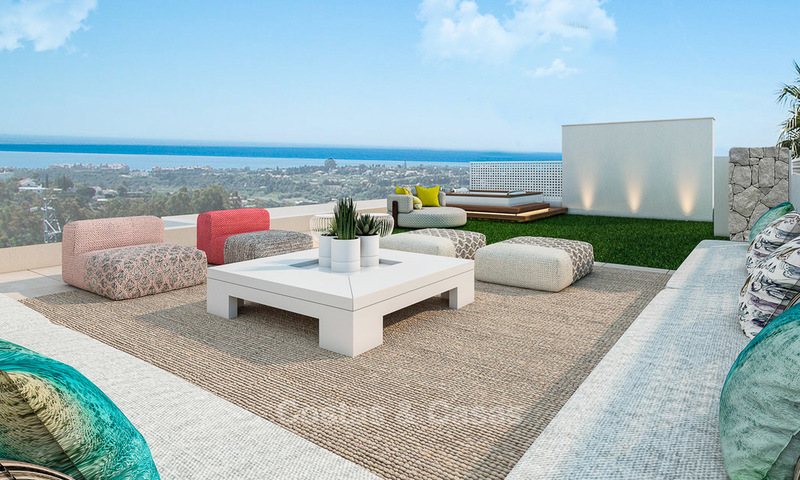 All bedrooms are en-suite and will offer access to the terraces. Built-in wardrobes complement all bedrooms. The villas will all benefit from a beautiful, functional roof top terrace which offers 360 degree panoramic views. The rooftop terraces can be further customized to integrate chill-out area, BBQ area and hot tub. 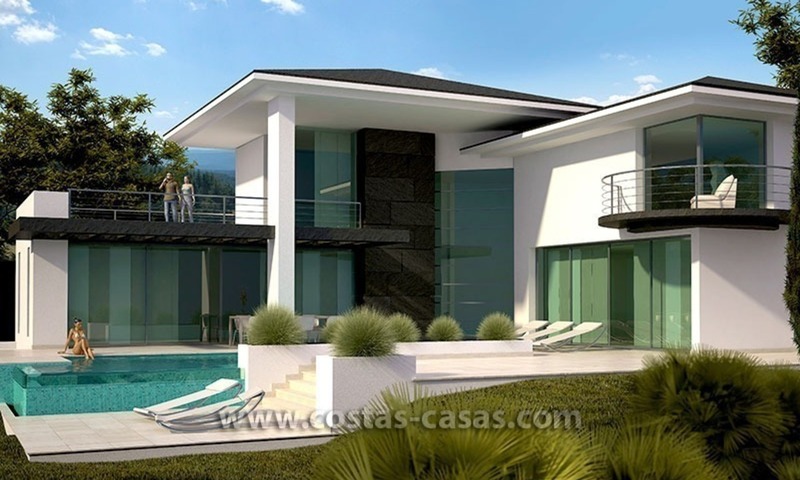 A glass balustrade will contribute to unobstructed views of the surroundings. All villas come with an off-street carport for 2 cars and a basement which can be further personalized to the buyers’ likings.